Project Pressure recently partnered with Polaroid Sunglasses to mount an expedition to Arctic Sweden. Among other sites, the team had an opportunity to explore the Pallin glacier tunnel. 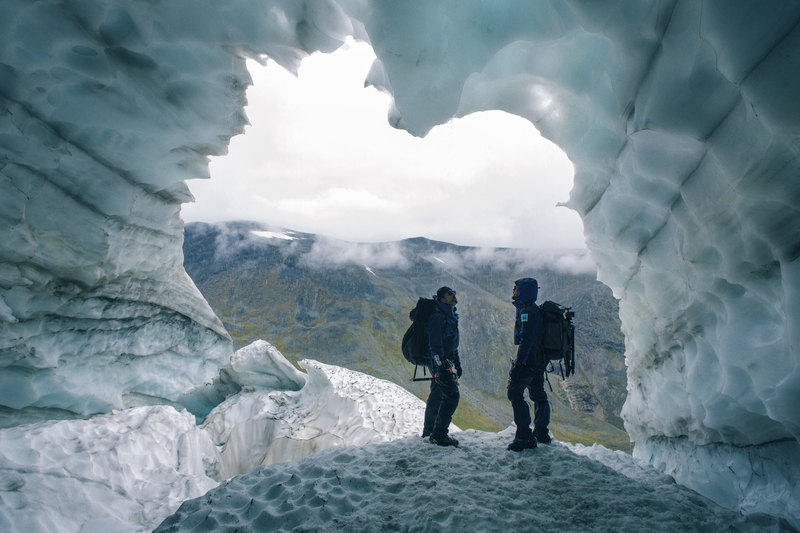 Uncovered by melting ice after being hidden for fifty years, this incredible natural wonder is one of the few glacial tunnels in the world that are safe to access. A video about the tunnel with some background from glaciologist Per Holmlund is currently showing on The Guardian’s environment page. 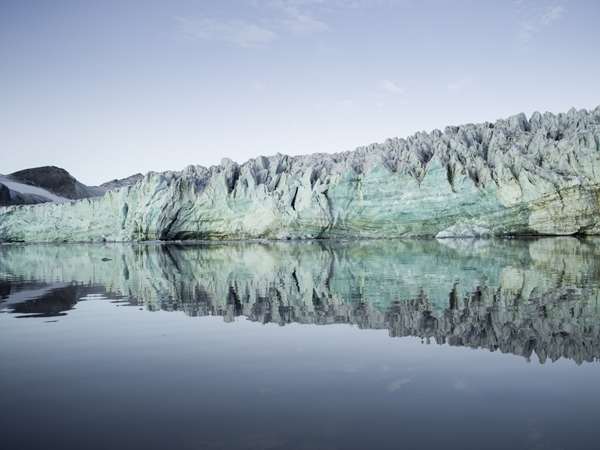 Renowned photographer and commercial fisherman Corey Arnold is currently documenting glaciers in Svalbard for Project Pressure, thanks to a grant from the Lighthouse Foundation. Beyond stunning shots of the ice, he’s also capturing a taste of what life is like for scientists living and working at the Polish research station in Hornsund. We’ll be posting more soon, or check out Instagram for a little preview. Towering high above the surrounding peaks of the Scandinavian Mountains in northern Sweden, the peak of the Kebnekaise massif currently stands at 2100m – but it won’t be that way for long. Its ice-covered summit is slowly melting, and will shortly lose its place as the country’s highest point. 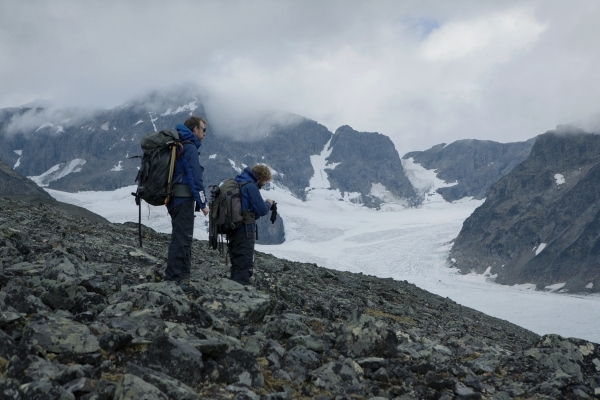 A glaciologist at the University of Stockholm, Holmlund has been studying the area for forty years – contributing to one of the longest-running glacier mass balance studies on earth. He and his team have produced a rich record of historical images and also the most up-to-date maps available, both of which Project Pressure used to plan the expedition. Located inside the Arctic Circle, Kebnekaise has two peaks: the glaciated southern peak which currently stands as the nation’s highest point, and a rocky northern summit. The southern peak’s place in the record books was once a little more assured. Rising to 2125m feet in historical records, it easily beat its 2097m little brother to the title. Now, though, with changes to the glacier’s mass, the icy crown of Sweden is slowly sinking. 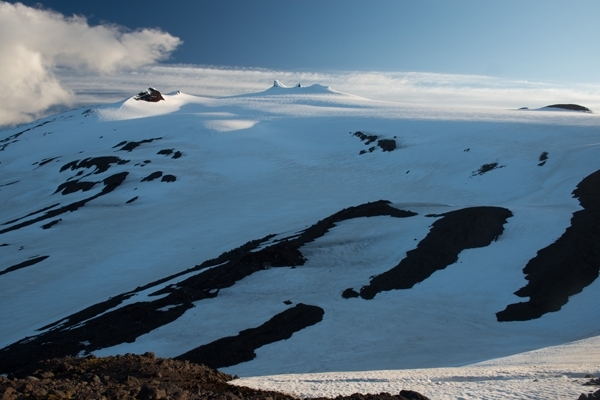 As Holmlund points out, the rock beneath the glacier only reaches up to 2060m, so if it becomes completely ice-free it will actually be demoted to the fourth highest peak in the country. Beyond just an interesting footnote for the record books, Sweden’s melting mountain stands as powerful symbol of the way the planet is changing. Project Pressure: What are your expedition’s objectives? Ricky Munday: This 38-day expedition is the latest leg in my long-term project to climb the 3 highest mountains on every continent – the Triple 7 Summits. This has never been completed. Along the way, we’ll be supporting ongoing scientific research on South America’s receding glaciers by collecting rock & ice samples for later analysis by world-class researchers, and creating a geo-tagged photographic record of glaciers for you guys. We’re also planning to raise a substantial sum of money to support cancer victims in the UK. I visited Scotland in April with one of the other team members to get some training in on the West Highland Way. We completed the 155km in 5 days, and were lucky to get fantastic weather – you can see some photos from that training here. We have just completed some training in Venezuela and in August we will climb Elbrus, the highest mountain in Europe (Russia – 5,642m). The range of climates and ecosystems that we will visit over the course of the next seven months are incredible; from the rain-soaked forests and ancient rock formations of the Guiana Shield; to the glaciated peaks of the Caucasus Mountains; and finally to the dry deserts of the Altiplano. What has been your best previous experience in the mountains previously? 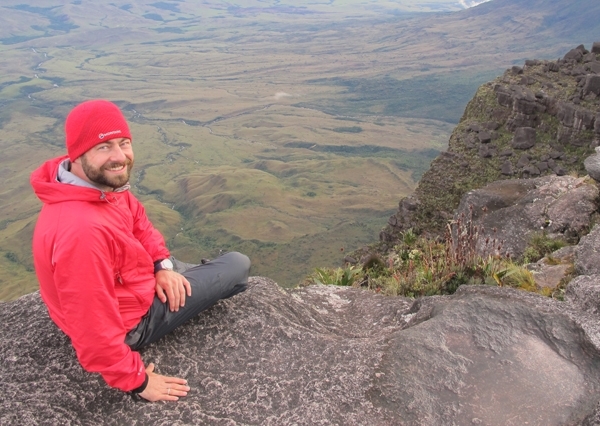 My best experience in the mountains is always my last – in this case spending two days on the summit plateau of Roraima in the Gran Sabana of Venezuela (pictured below). We trekked to the Proa in the Guyana sector but unfortunately, it was cloudy and there were no views. It was deeply disappointing after three hard days’ trekking. As we were trekking back to our cave camp, the local guide noticed the cloud cover shifting. For just a few minutes we were treated to an awesome site over the rainforests of Guyana. Breathing fresh mountain air in a remote mountain range; watching the sun rise or set at a high elevation where few people have been; witnessing a cloud inversion over a Scottish glen – these are the experiences that touch my soul. Why you think its important to contribute to science? I believe that we all have a responsibility to contribute to a better understanding of our planet. In my case, becaue I have the privilege of visiting places that many people can only dream of, I feel compelled to support researchers who would other wise have no access to samples or data from those remote areas. Although I am a Chartered Accountant, my background is science: I originally studied Zoology and dreamed of being a field researcher. My job now is focused on supporting the most vulnerable people, but my own passion is understanding and protecting our planet. We’ll keep you posted on Ricky’s expedition, and you can sponsor him via JustGiving and contribute to Project Pressure here.